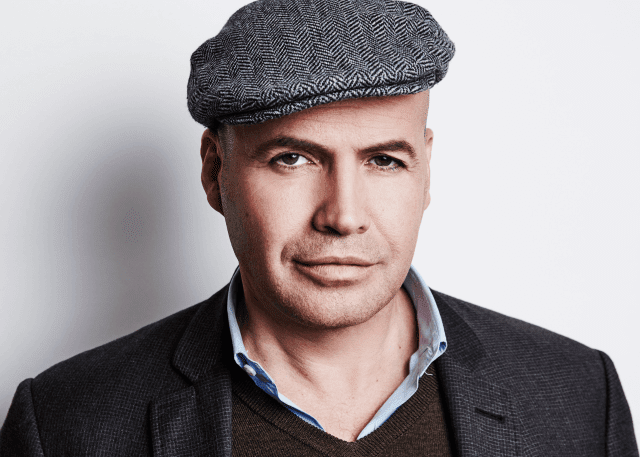 Billy Zane is an actor and producer known worldwide for his roles in box office classics ‘Titanic’ and ‘Back To The Future’, part of an extensive filmography that spans over two decades. Zane made his big-screen debut in 1985’s iconic science fiction film ‘Back To The Future’, a role that he found only three weeks after making the move to L.A to pursue his dreams of stardom. This role opened up the doors of Hollywood for Zane and kickstarted a career that’s seen him display his talents in over forty movies. Billy’s breakout lead role came in 1989’s ‘Dead Calm’, an oceanic horror-thriller in which he acted opposite Nicole Kidman. This role turned the heads of directors and producers across Hollywood, leading to a series of high-profile parts during the 90s that established Zane as one of the movie scene’s leading lights: ‘Memphis Belle’, ‘Orlando’, ‘Sniper’, ‘The Phantom’ and ‘Only You’, in addition to a part in David Lynch’s cult TV show ‘Twin Peaks’. The decade culminated in what was arguably Zane’s biggest role to date, and the jewel in the crown of his illustrious career. Acting opposite Leonardo DiCaprio and Kate Winslet in the iconic romance ‘Titanic’, Zane played Winslet’s villainous fiancé Cal Hockley. This part fixed Zane in the public’s imagination for ever more, acting as an international calling card and pushing his career to the next level. The years that followed have seen the versatile actor lend his talents to an array of diverse roles across film, TV and theatre: ‘The Believer’, ‘Chicago’, ‘Charmed’ and ‘Zoolander’, to name but a few. In addition to his continuing work as an actor, Zane works as a producer and philanthropist, running a bio-dynamic olive oil business that supports charitable causes.